Welcome to Trapper's Landing 13. 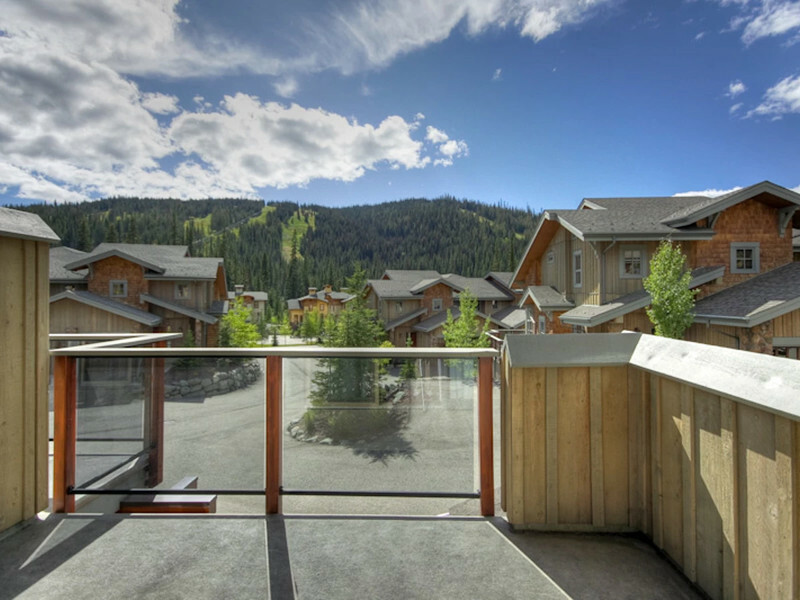 A beautiful home with spectacular mountain views is nestled in the heart of Sun Peaks Ski Resort; ranked in the top two ski resorts in Canada. 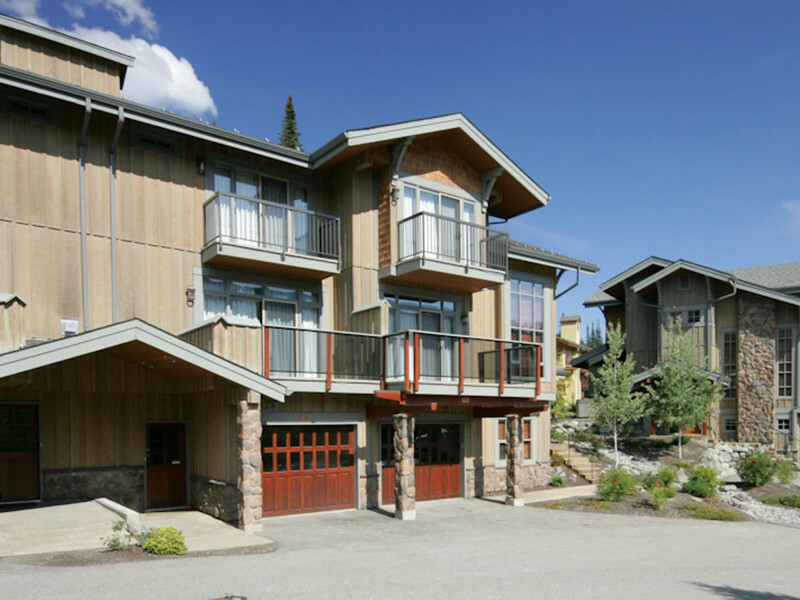 Trapper's Landing is well-situated in the resort, just a 5 minute walk from both the Mt. Morrisey Ski-lift and the amenities in the main village. 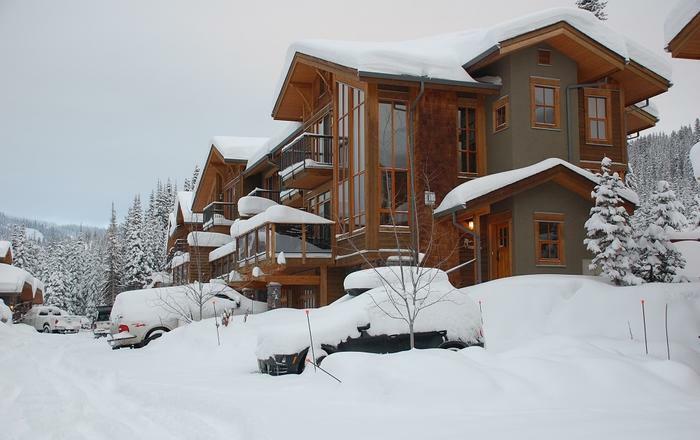 Comfortably sleeping seven, our three level, 1300 square foot, two bedroom, three bath unit is perfect for families or couples who want to enjoy a stress-free winter or summer holiday. 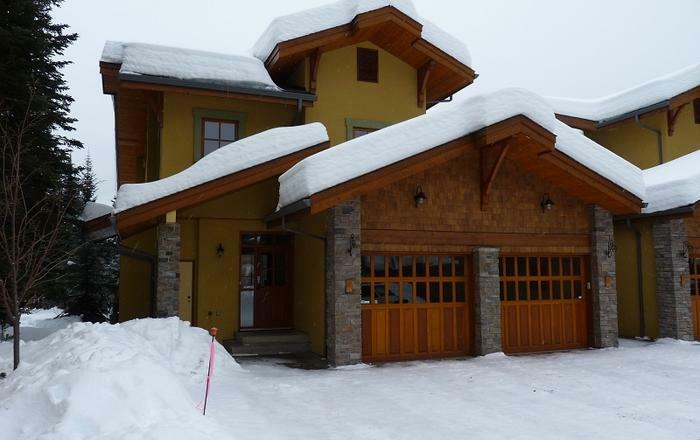 The convenience of a private two-car tandem garage allows you to leave your ski (or golf) gear on the main floor level-entry for hassle-free access. Once inside, you will see that it is beautifully appointed with comfortable plush living room furniture, a flagstone gas fireplace, 50" HD-LED TV, DVD player, granite counter tops and heated tile floors throughout. Enjoy the un-obstructed view of Mt. Morrisey right from the comfort of the couch in the living room or the living room balcony. 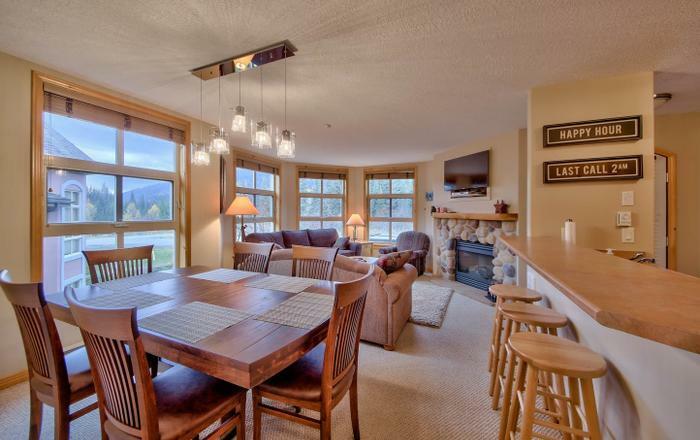 The kitchen is fully equipped with gourmet appliances, utensils and dishes - everything you need to create a great meal after an active day of skiing, golfing or hiking. Just outside our back door, overlooking the Valley Trail, is a private hot tub and gas-fired barbecue. Upstairs in the sleeping area, are two large bedrooms, each with ensuite. The Master Bedroom has one queen size bed and again, an un-obstructed view of Mt. Morrisey. The second bedroom has a queen size/single bunk bed and an infant playpen. The couch in the living room is a fold out bed so there's plenty of room for everyone. Wireless internet is provided for your convenience. •Infant playpen and crib sheet. •Private in-suite washer and dryer.